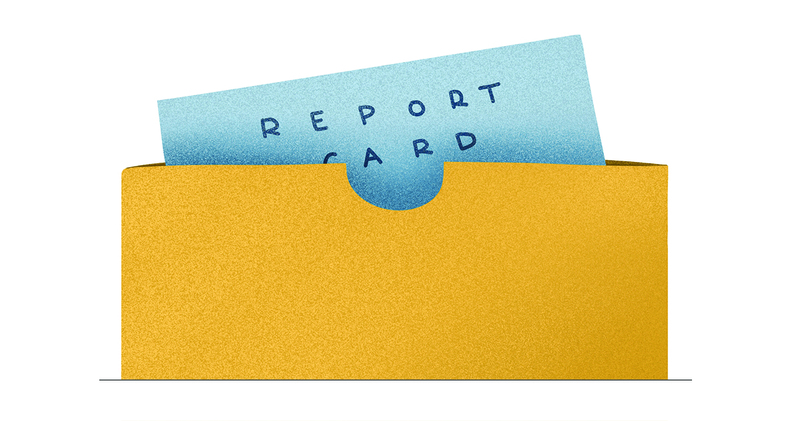 Thanks to recent action from Lansing, public schools in Michigan finally are about to receive the same sort of report cards as their students. While far from a panacea for the state's educational ills, the passage of House Bill 5526 is a hope-filled victory worth celebrating. Assigning schools letter grades based on performance is a popular, commonsense idea that benefits parents who have a tremendous amount invested in those results. Serious legislative efforts to bring school letter grades to Michigan extend back at least five years, well before the high-pressure partisan turmoil of December’s lame-duck session. But the pressure of the ticking clock at the end of the year helped the bill's outgoing champions — Gov. Rick Snyder and Rep. Tim Kelly, R-Saginaw Township — get it across the finish line. In adopting HB 5526, Michigan joins 15 other states that use letter grades to measure public school performance. Unlike the other states, though, it will not assign schools an overall grade. Instead, schools will get five separate grades, each based on how many students meet academic standards, improve in their tested knowledge, and achieve compared to peers of similar economic backgrounds, among other things. Up to now, Michigan has used an assortment of tools to report school performance, including hard-to-decipher designations and color-coded scorecards. The interest groups that dominate education debates at the Capitol have been served by a murky accountability system that confuses more than clarifies. They’re also better organized than parents who want an easily understood measuring tool. A March 2018 poll commissioned by the Michigan Association of Public School Academies, representing the state's charter schools, found statewide voter support for an A-F school grading system dwarfed opposition by 69 to 22 percent. Nearly 50 percent strongly agreed with the idea. Their instincts are justified. An easier-to-grasp system of letter grades brings more parents into the conversation about how to improve schools. It also provides useful information for parents who choose a school other than the one assigned to them based on their address. Fifteen percent of 1,500 Michigan charter school parents recently surveyed by the Mackinac Center said they had difficulty finding useful information about school quality. Even though the state's assessments certainly cannot provide a complete picture of school quality, many parents still know they tell something valuable. That's especially true of lower-income and minority parents. Most surveyed said that standardized test scores played an extremely important role in helping them decide where to enroll their child. It's hard to say how much school letter grades will drive large-scale improvements. Research from Florida and New York City found that the fear of earning an F grade led schools to make real classroom changes that brought about measurable improvements. We can only wait to see if similar improvements play out in Michigan. But giving parents more and better tools to help them decide their children's path to educational success? That deserves our applause, right now. Champions of educational freedom and excellence should count this legislation as a small but undeniable triumph.